Law Offices of Alonso Krangle LLP, released an article discussing “Premises Liability”, if you would like to know more Please continue reading below. Accidents that happen on someone else’s property often cause serious and debilitating injures. In New York, like most other states, an owner of property must maintain their property reasonably safe and free of hazards. If they fail to do so, they may be held responsible for damages which can include pain and suffering, lost wages and medical expenses. If you or a loved one is a victim of an accident on someone else’s property you may be entitled to financial compensation. Call us today to discuss your legal rights. Examples of locations where a premises liability case may occur are office buildings, apartment buildings or other residences, motels, amusement parks, supermarkets or malls. 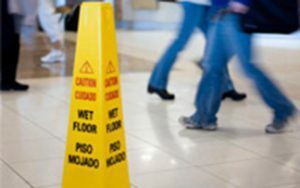 Types of premises liability cases include; slip and fall, trip and fall, inadequate security, elevator or escalator accidents and inadequate lighting. If you are victim of a premises liability accident contact us at Alonso Krangle LLP, call us or fill out a free evaluation form. We will listen to what happened to you and advise you of your legal rights.